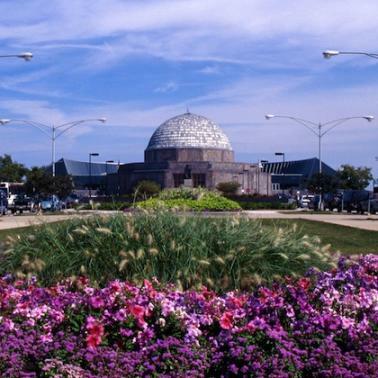 Whether you’re a history buff, nature lover or fan of the arts, you’ll find something exciting to explore close by McCormick Place. All work and no play in a stunning city like Chicago would be such a shame. 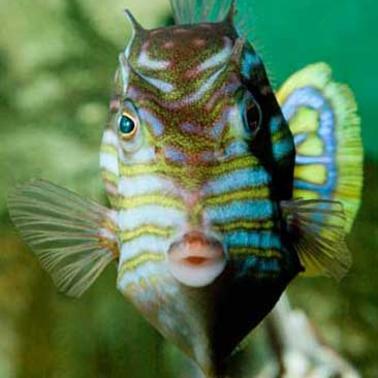 Be sure to take well-earned breaks from meetings to discover some of the fascinating sights near McCormick Place. From historic Motor Row to the authentic tastes of Chinatown and the postcard-perfect Chicago lakefront, you’re sure to find gems worth exploring. 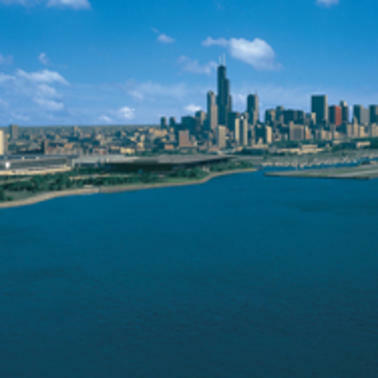 Chicago’s sparkling Lake Michigan waterfront is home to a myriad of sights and experiences. 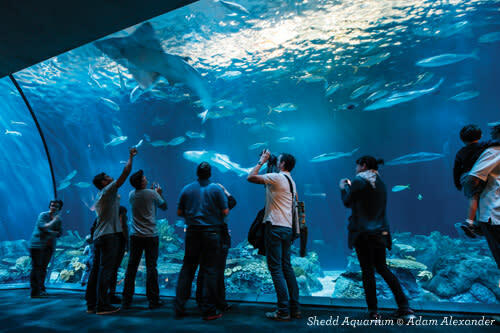 Spend an afternoon exploring the Museum Campus, where you can watch dolphins and beluga whales frolic at the Shedd Aquarium, explore a mysterious Egyptian tomb at The Field Museum, or be blasted into the cosmos in a cutting-edge sky theater at the Adler Planetarium. Close by is Soldier Field, home to the Chicago Bears football team, which offers behind-the-scenes tours. 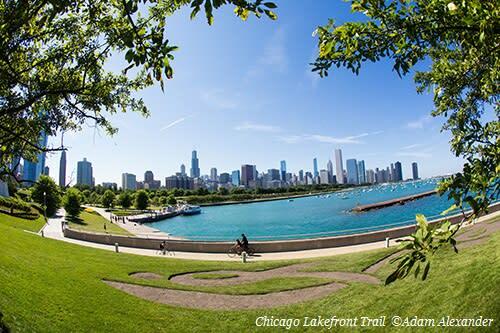 Walk or jog along the scenic Chicago Lakefront Trail, which stretches for 18 miles from the south to the north sides of the city, with beautiful parks, boat harbors and beaches along the way. Take time to sun on the sand at 31st Street Beach or do some bird watching at the McCormick Bird Sanctuary in Burnham Park. Here, you can spy birds migrating along the Lake Michigan shoreline and walk through a prairie that’s actually located atop a McCormick Place underground parking garage. 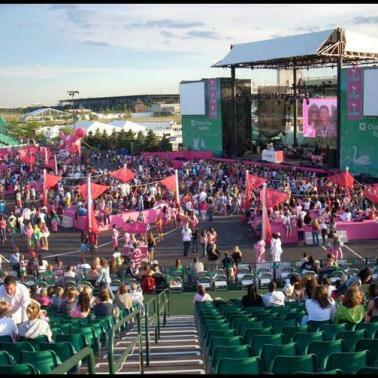 And don’t miss Northerly Island, a manmade peninsula that juts into Lake Michigan and features nature paths for strolling, as well as the outdoor Huntington Bank Pavilion that hosts big-name summertime concerts. 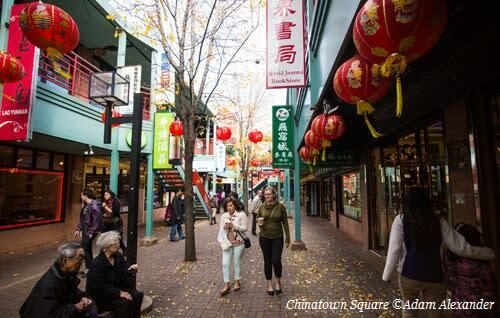 Established in 1912, Chicago’s vibrant Chinatown is one of the oldest in the country. Wentworth Avenue is Chinatown’s main drag, entered through the ornate Chinatown Gate. Here you’ll find kitschy souvenir shops and plenty of Chinese restaurants, like the long-time House of Fortune. Stop by the Chinese-American Museum of Chicago to learn about the experiences of Chinese-Americans in the Midwest. Or take a guided tour of the area with the Chicago Chinese Cultural Institute and see local landmarks like the Nine Dragon Wall that was sculpted in China. 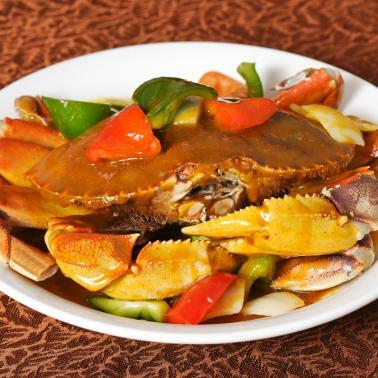 You’ll also find dining on Archer Avenue (try the Hong Kong-style dim sum at the acclaimed MingHin Cuisine, a Michelin Bib Gourmand restaurant) and at Chinatown Square. Besides stores and restaurants, this two-level outdoor shopping mall features bronze statues depicting the 12 Chinese zodiac animals and a beautiful mural of hand-painted glass tiles that illustrate the history of Chinese immigrants who came to the U.S. during the Gold Rush. Nearby is the picturesque Ping Tom Memorial Park, set on the Chicago River and noted for its distinctive Chinese-inspired landscape design. Rent a kayak at the boathouse and join Urban Kayaks for a guided river tour or head to the pagoda-style pavilion and catch a Chicago Water Taxi that cruises past sights such as Willis Tower and the Chicago Riverwalk. During the late-19th century this South Side Chicago neighborhood was home to the city’s elite families who lived in grand Victorian mansions. Railcar magnate George Pullman, retail innovator Marshall Field and meatpacking industrialist Philip Armour all had homes in what became known as Millionaire’s Row. Today, the area is listed on the National Register of Historic Places. 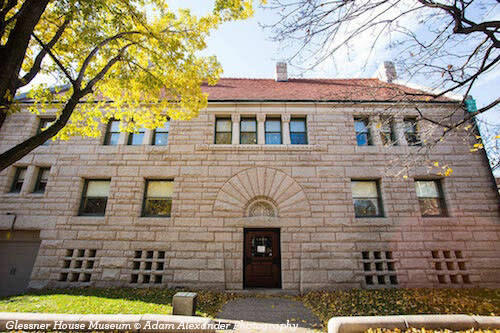 Tour the stately Glessner House Museum, designed by noted American architect Henry Hobson Richardson in a departure from the architecture of the time with its fortress-like style and private interior courtyard. The home displays the Glessner family’s original furnishings and textiles. Also open for tours is the Greek Revival-style Clarke House Museum, the oldest house in Chicago. 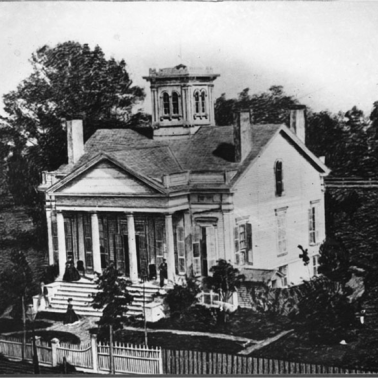 Built in 1836 for New York merchant Henry B. Clarke, the home was constructed when much of the area was still undeveloped prairie land. It’s located in Chicago Women’s Park & Gardens, which honors the contributions women have made to the city throughout its history. Nearby, join a public tour or take one on your own at the National Historic Landmark Second Presbyterian Church. Architect James Renwick designed the Gothic Revival exterior, while Howard Van Doren Shaw and Frederic Clay Bartlett redesigned the interior in Arts and Crafts style. 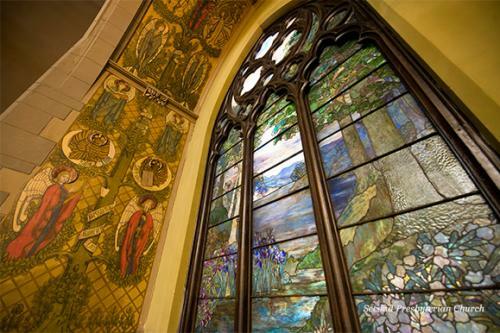 The church features stunning murals and Tiffany stained glass memorial windows. Located just west of McCormick Place on South Michigan Avenue is Chicago’s historic Motor Row. Founded in the early 1900s, Motor Row got its name from the car companies that built some of their first-ever auto showrooms there, including Cadillac, Ford, Packer and Hudson. Notable architects such as Philip Maher and Holabird & Roche designed many of the buildings, which featured elaborate facades of carved stone and intricately scrolled ironwork. At its peak, some 116 different models of cars were sold on Chicago’s Motor Row. 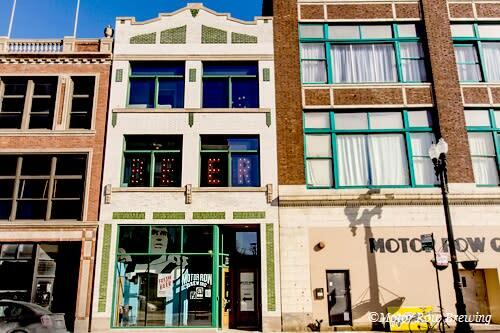 By the early 1960s Motor Row morphed into Record Row, where the legendary Chess Records was used as a recording studio by blues musicians like Muddy Waters, Chuck Berry and Willie Dixon, as well as rock band The Rolling Stones. Today, Willie Dixon’s Blues Heaven Foundation is located on the former Chess Records site, featuring exhibits on blues musicians and the summertime Blues Garden Concert Series. Motor Row is currently undergoing a renaissance, with businesses such as Motor Row Brewing and Revel Motor Row (a sprawling new private event space housed in the former home of the Chicago Defender, a prominent African American newspaper, and the adjacent old Cadillac showroom) helping turn the area into Chicago’s newest entertainment district. 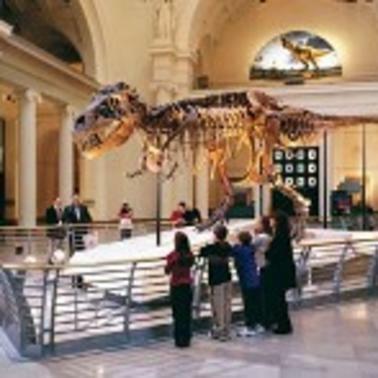 Also worth checking out for historic sites and hot eateries are the nearby Bronzeville and South Loop neighborhoods.